The Labour Party has never been averse to bouts of political soul-searching when we look to the past to learn lessons for the future. Sometimes this can be self-indulgent and unhelpful, especially if it involves reopening old wounds and dwelling on ancient history that has no bearing on the lives of people whom Labour exists to help. But if we take a balanced and sympathetic view of our past, there is much to learn. Recently, I’ve engaged in my own exploration of Labour’s history. When I was elected as MP for Leeds West in 2010, I set out to discover more about Alice Bacon, the only woman who had previously represented the city in parliament. I have written about her fascinating life and the impact she had in my book, Alice in Westminster, that has just been published. Alice was on the frontline in Harold Wilson’s first two governments, serving as a minister at the Home Office and the Department for Education. She helped drive through progressive reforms which transformed Britain – ushering in comprehensive education, the legalisation of abortion, the decriminalisation of homosexuality and the abolition of the death penalty. Wilson’s government is sometimes forgotten amid the bitter arguments about the Blair era and the near-universal admiration for the Attlee government. But I believe it is worth looking at the example set by Wilson and Alice Bacon as we struggle today to rediscover an election-winning formula and grapple with more fundamental questions about our party’s aims and future. So what relevance does Wilson’s winning formula and Bacon’s achievements have for us today? Fundamentally, Wilson offered an inspiring message about the future of our country. Under his leadership, Labour made great strides in terms of getting across a coherent and persuasive message to voters. Under his predecessor, Hugh Gaitskell, Bacon chaired the new Publicity and Political Education Sub-committee of Labour’s National Executive Committee. This reaped dividends. Labour’s vibrant election slogan – ‘Let’s GO for a New Britain’ – was in stark contrast to a flagging Tory Party coming to the end of thirteen years in office. At Labour’s 1964 conference, Wilson promised a new Britain would be forged in the ‘white heat’ of the scientific revolution. And, it was fellow Yorkshire politician, Bacon at the forefront of building Wilson’s New Britain. Central to the Wilsonian vision of a society where the gains of technology would be shared by all was the drive towards comprehensive education – a goal that Alice had long championed and which she could enact as the minister responsible for schools in the 1960s. While Alice helped secure great liberal reforms at the Home Office, she also recognised that embracing progress could not mean forgetting the insecurities of ordinary people, especially in the kind of working-class communities where she had been raised and later represented as their MP. For liberals and socialists alike to fail to understand this, she knew, could prove fatal to the Labour Party and leave the door open to the worst elements to gain politically. She was right. Unlike coalminer’s daughter Bacon, Wilson was in many ways part of the liberal metropolitan set. He had a degree in PPE from Oxford, followed by careers as an Oxford don, a civil servant and a Member of Parliament. But he never lost sight of his roots or his ability to connect with voters. His status as a Yorkshireman was a badge of pride and one which set him apart from many of his counterparts. He articulated a modern, forward-looking socialism that was rooted in tradition. Wilson and Bacon both offered a radical politics that harnessed the progressive potential of technological change and communicated it in a language that connected with ordinary people. They remind us the difference that a Labour government can achieve when the party works together and why we must strive to ensure we deliver one as soon as possible. 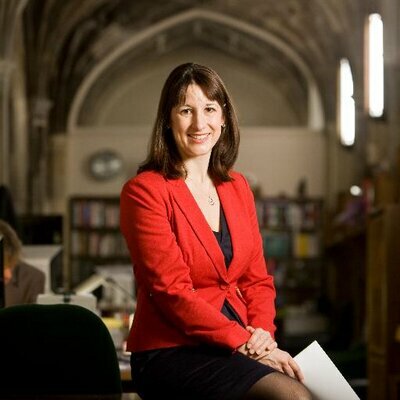 Rachel Reeves is MP for Leeds West. Her book, Alice in Westminster: The Political Life of Alice Bacon, published by IB Tauris, is on sale now.